Celebrations will take place across the globe, from Southeast Asia’s centuries-old Chinese communities to the more recently established Chinatowns of Sydney, London, Vancouver, Los Angeles, Yokohama and beyond. 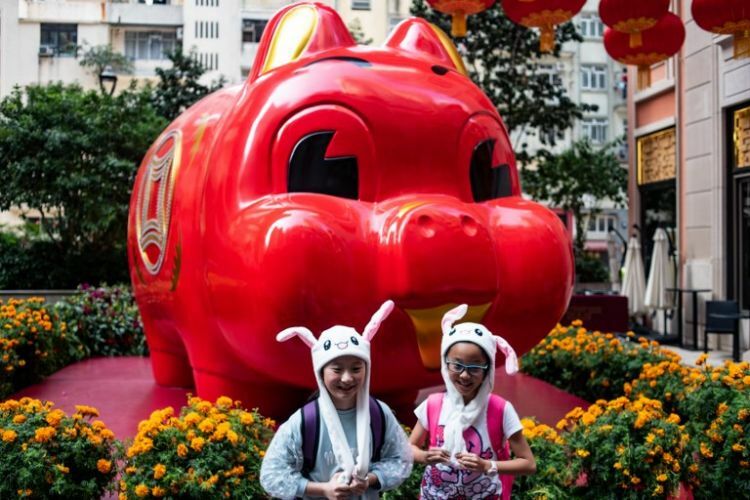 The most important holiday of the Chinese calendar marks the New Year with a fortnight of festivities, as reunited families wrap dumplings together and exchange gifts and red envelopes stuffed with money. During the Spring Festival season — a 40-day period known as “Chunyun” — China’s masses will be on the move, chalking up some 3 billion journeys according to Chinese state media. Streets and busy thoroughfares were uncharacteristically empty Monday in Beijing, with many shops and restaurants closed until next week. An estimated 7 million Chinese tourists will head overseas through the Spring Festival this year, according to official news agency Xinhua, citing numbers from Chinese travel agency Ctrip.